Achieving the IMPOSSIBLE…it’s all up to YOU. Hi, my name is Kirk Mango. 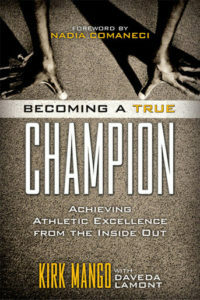 That quote above is a small piece of what this website and my book Becoming a True Champion has in store for you. 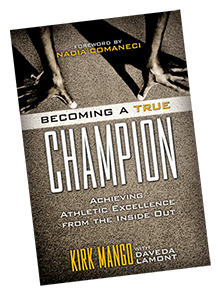 I’ve spent my life as an athlete, a teacher, and coach, striving to teach others how to reach their true potential―how to become champions. One thing is for sure, it always starts and ends with you. My book, blog and the community on this site are all about helping you accomplish your dreams while blocking out those influences and excuses that keep you from achieving what you want. 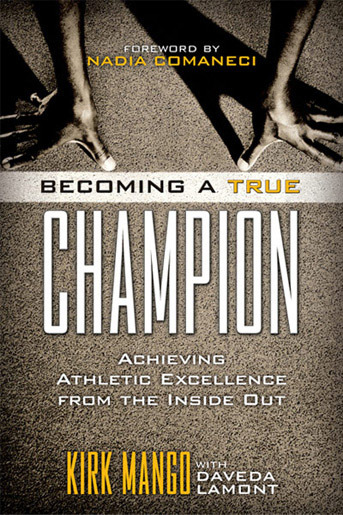 Whether you want to reach certain athletic goals, be inspired, compete at higher levels or simply improve, it’s time for you to become the best you can be!